1. Pretty Happy on Last Night’s Run. I’m not a very emotional person at all, but sometimes when I’m running I get all teary eyed and ridiculous just because I’m so happy for the experience. A few years ago I wouldn’t have wanted to walk 4 miles on a Monday night, let alone run four of them. 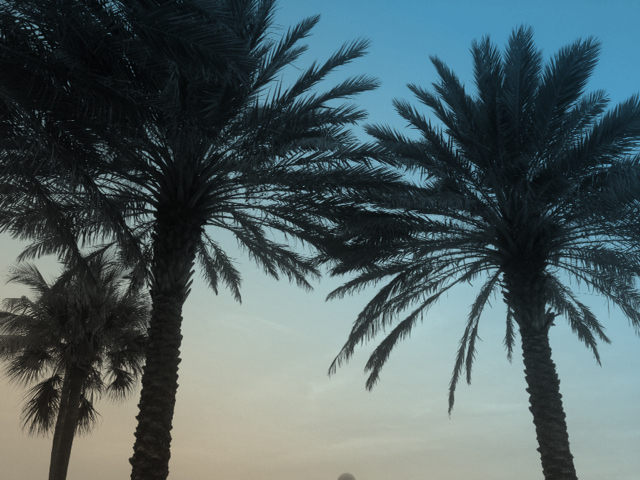 If I did have to walk that far, I would have been too miserable to take in the beautiful sunset and cool breeze. I would have just been tired from walking and grumpy because I was sweating. I’m so grateful that’s not me anymore! I still super appreciate the air conditioning, but now I can survive when I’m sweating … for a little bit. 2. I’m terrible at pacing myself. This is an area where I am VERY clearly still a new runner (even after 2 years). My coach gives me certain paces or pace ranges to aim for on every run, and I usually get somewhere in the right area … but a couple miles are bound to be 15 – 30 seconds or more off the mark. Usually the miles I run over the bridge I go too fast because I’m sooo worried that I’m trudging up it too slow. I need to really work on that! And maybe just look at my Garmin more frequently. My view once I come down the bridge. As I mentioned last week I have a pinched nerve in my left foot. It feels really uncomfortable when I wake up in the morning, and sitting around at work can be pretty uncomfortable too. Oddly enough, when I get out running it feels the best. The doctor said that’s pretty atypical but not unheard of. When I get home from the run? Well, icing feels really good. 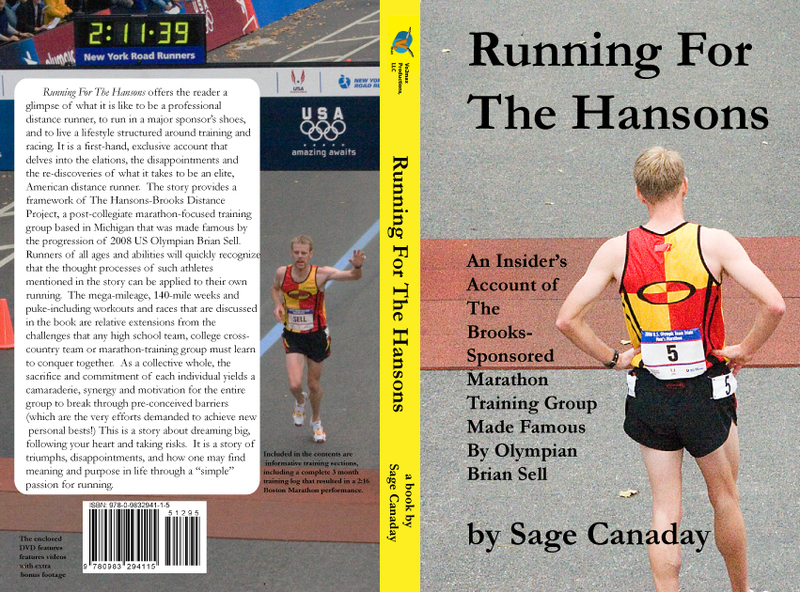 Over the weekend I started reading Sage Canaday’s book, Running for the Hansons: An Insider’s Account of The Brooks-Sponsored Marathon Training Group Made Famous by Olympian Brian Sell. Sage is now a 2-time olympics qualifier and in 2007 he was the youngest person to participate in the marathon trials at only 21 years old. These days he’s focused on tearing up the trails at ultramarathons. That’s pretty awesome. Do you check your Garmin a lot during a run to make sure you’re on pace, or are you able to go by feel? Isn’t it great when your running and just genuinely happy to be out running. Great pics, sunset out on the ocean is an amazing view. Oh you and I have the same love for AC, after each run i soak in the greatness that is AC lol. Don’t get me started on pacing, I am HORRIBLE at it also. So glad the foot is holding up. I really need to get his book, I hope he writes one about ultras too. That is the only way I can somewhat pace myself, just constantly checking my Garmin to see if I’m close. It’s a work in progress..
Pacing is hard. I have never negative split a race, and rarely ever do it on a run! I totally feel you on tearing up during a great run. I know that’s probably a sign that runners are crazy, but we all knew that anyway! I get so emotional when I’m running sometimes!! Glad I’m not the only one! One time I was almost outright sobbing I was so happy. The other runners probably understood, but everyone else surely thought I was in a lot of pain! It’s good to take some time to appreciate being aliiiiiiive and healthy and able to do the stuff you do! 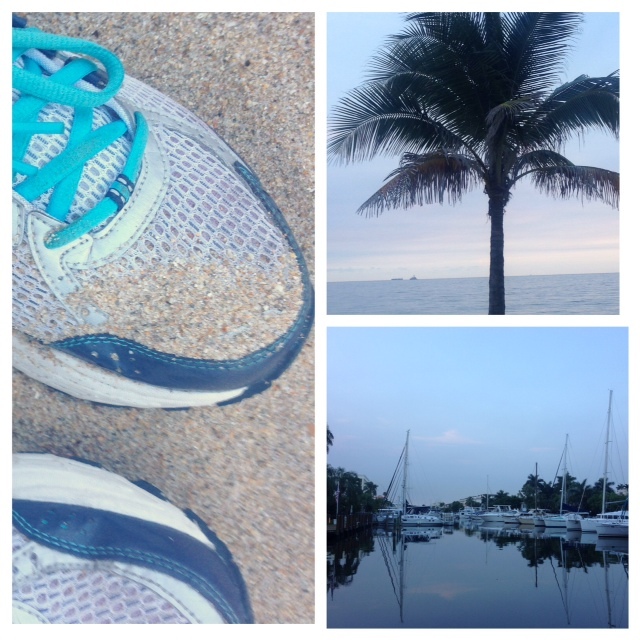 I love your running views!! And so cool that in just a couple of years you’ve gone from someone who hated having to walk a few miles to someone who can run a marathon and at some point soon an ultra!!! Fingers crossed on both the marathon and ultra. Some days it seems like OF COURSE I’ll survive both, and other days I wonder why it’s so hard just to get to 5 miles! I’m sorry to hear about your foot! It is strange that running doesn’t aggravate it more. Maybe the pressure of running causes whatever is putting pressure on the nerve to release, so it doesn’t hurt? I’m no doctor, but thats where my problem solving thoughts go. Either way, I hope it goes away soon! I find wehn I wear my Garmin and am trying to stick to a certain pace range, that I constantly check it hey. And I always swing below and above the range I’m aiming for, but then I guess it evens and averages out. What an awesome view from the bridge – totally worth it! i’ve never read eat and run, but i might have to add it to my summer reading list.